Report by children's rights advocacy group shows Brazil may not meet UN Sustainable Development Goals by 2030. RIO DE JANEIRO, BRAZIL – Over 17.3 million children under the age of fourteen live in poverty in Brazil, according to a report released on Tuesday by the Abrinq Foundation, a non-profit organization which fights for children’s rights in the country. More than 2.5 million children are part of Brazil’s labor force, photo by Valter Campanato/Agência Brasil. According to the NGO, the latest report shows that the country may not meet the UN’s Sustainable Development Goals by 2030. “Some of these goals are definitely not going to be achieved by Brazil, unless investments are made in public policies directed at the more vulnerable portions of the population. Without investment, it becomes really difficult to fulfill this agreement,” argued Abrinq Executive Administrator Heloisa Oliveira during an online presentation of the report. The report, dubbed “Scenario of Childhood and Adolescence in Brazil,” links social indicators to the United Nations’ Sustainable Development Goals (ODS). Among the indicators studied were education and child labor. According to Oliveira, Brazil’s National Education Plan calls for the access education of at least fifty percent of the population over three years old by 2024 but the executive says that currently only twenty-seven percent of school-aged children are receiving some sort of education. 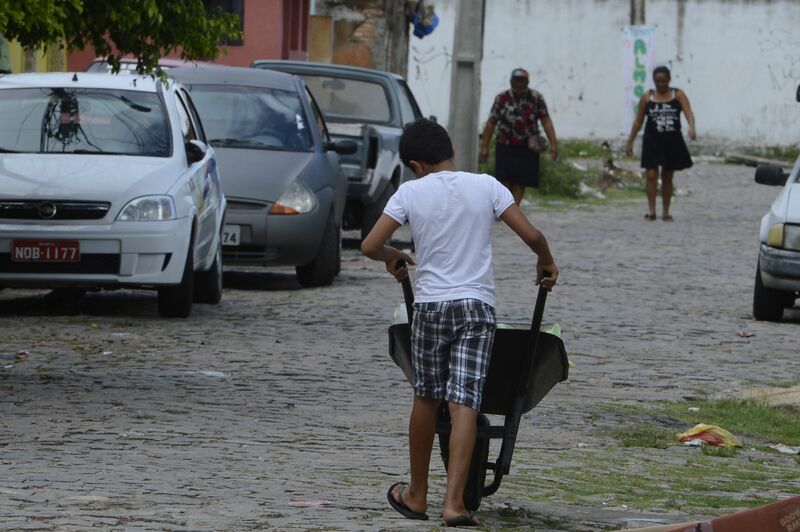 As for child labor the report shows that Brazil has over 2.5 million children in the informal labor force. “If investments aren’t made towards eradicating child labor, the target (eradicating by 2025) will certainly not be met,” she noted. Oliveira pointed out that since Brazil is an ‘extremely unequal country’ it comes as no surprise that the poorer regions of the country, such as the North and Northeast, concentrate the worst indicators for education, access to water and sanitation and child labor. According to the Abrinq executive the two poorest regions of Brazil registering the worst scenarios, with the Northeast registering sixty percent of its children living in poverty and the North, 54 percent. The national average is 40.2 percent, according to the study.